“Check Out” the Scanning Code of Practice! Have you ever looked over your grocery bill at home, only to find you’ve been overcharged? It has happened to me and my blood boils! I usually watch the monitor as the cashier rings in the prices, but with five little kids my attention is often diverted. Enter the Scanning Code of Practice! The premise of the Scanning Code of Practice (SCOP) is simple: the price you see marked on the grocery shelf, is the price you pay. But instead of a price adjustment when the price is rung in higher than marked, the item is absolutely FREE (up to $10)! 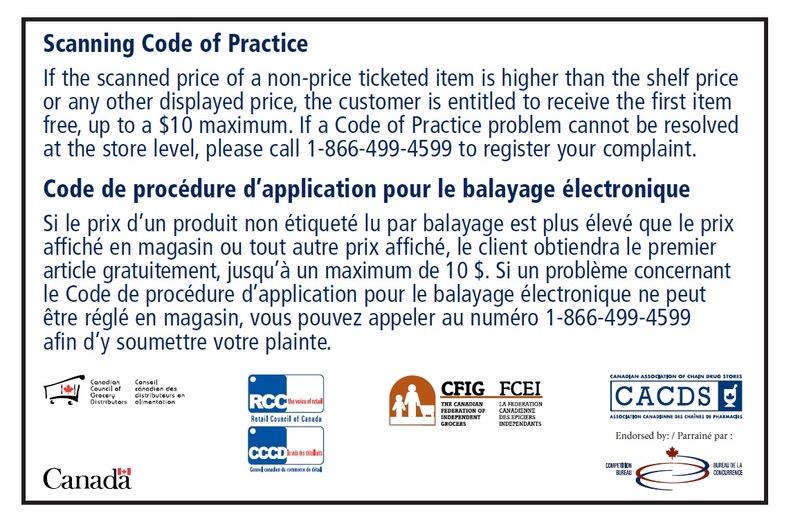 Here’s the Scanning Code of Practice in their own words: “If the scanned price of a non-price ticketed item is higher than the shelf price or any other displayed price, the customer is entitled to receive the first item FREE, up to a $10 maximum!” Yes, you read it right – FREE! 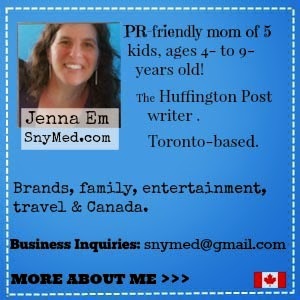 Look for the Little White Sticker! 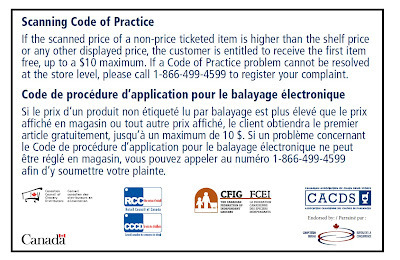 Many, though not all participating Scanning Code of Practice merchants display a white SCOP sticker near the cash register (as shown in this article). See the sticker? You’re eligible to claim the Scanning Code of Practice if all conditions are met. Don’t see the sticker? As long as it’s a participating merchant, the SCOP sticker does not need to be present in order for you to make a claim. Who’s In? Some such participating SCOP merchants include Shopper’s Drug Mart, London Drugs, Wal-Mart, Loblaws, Sobeys, Metro, Costco, The Home Depot, Toys R Us, Giant Tiger, Best Buy, Future Shop and more. A more detailed list can be seen here. 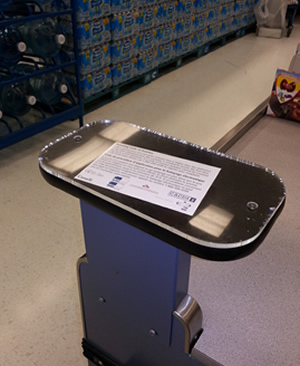 On the Spot If at the checkout, you notice that an item is scanning higher than the shelf price, you can claim a Scanning Code of Practice credit on the spot. The cashier will punch in the item as FREE, up to a $10 maximum! Keep Your Receipt, Darlin’! If you have just finished your transaction or have left the store, keep your receipt! You are still eligible to claim the Scanning Code of Practice credit after the fact. Just do it fairly soon, as personnel check that the shelf pricing was incorrect at the time of purchase. You will either receive cash in hand or a refund to your credit card, depending on your original payment method. Know Your Rights Familiarize yourself with SCOP rules and know your rights. Some cashiers may not be familiar with the Scanning Code of Practice and deny your claim— even with the SCOP sticker located beside their till. If you come up against this wall, simply ask for a supervisor or manager to remedy the situation. Have them read from their own SCOP sticker if the are also unclear. Lastly, claim your SCOP credit with conviction. The Scanning Code of Practice is not about getting a FREE ride, but making sure they “check out” their errors! I really need to keep my eye on my recipes these days. Thanks for this! AWESOME post! I have only SCOPed a few times because I don't always see the little white sticker and didn't know which stores are participating. Thank you! You need to bump this post or bring it back so others can read it! Will def need to pay more attention! Didnt even know of this! Thanks! Kids’ Clothing on a Shoestring Budget!